Item # 310550 Stash Points: 4,499 (?) This is the number of points you get in The Zumiez Stash for purchasing this item. Stash points are redeemable for exclusive rewards only available to Zumiez Stash members. To redeem your points check out the rewards catalog on thestash.zumiez.com. 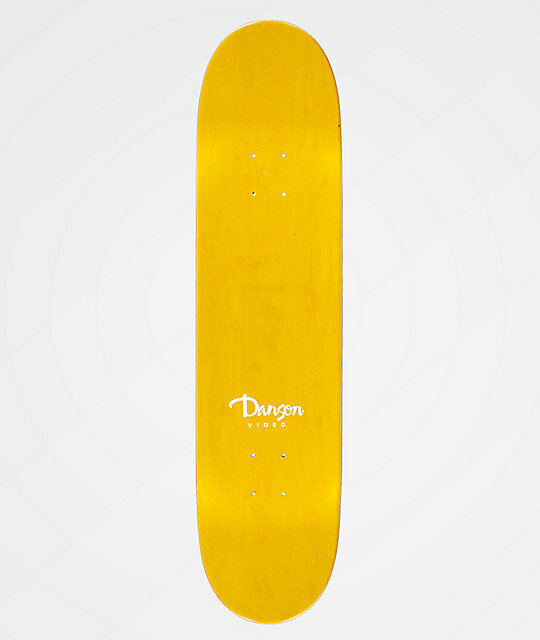 Get a fresh new park deck poised to beef up your flip trick game with the Danson Mr. Sketchy 7.75" Skateboard Deck. This medium concaved deck features small wheel wells for enough concave to lock you in on landings and aid your flick power on flip tricks. Finished with smaller than average kick tails, this board provides a quicker response on pop for a more technical feel and over all ride. 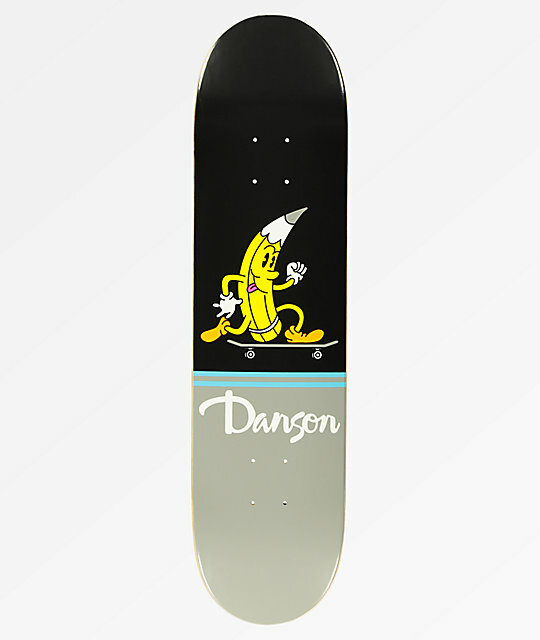 Mr. Sketchy 7.75" Skateboard Deck from Danson. Medium concave with very small wheel wells.